Mara’akame (shaman) Don José Luis Ramirez (Uxamuire) with the first hunted peyote at Wirikuta, San Luis Potosí, Mexico. 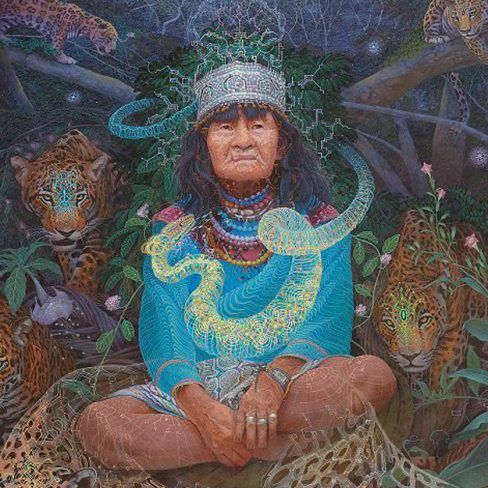 The spiritual leaders or Huichol shamans are known as ‘Mara’akame’, which means the one who knows how to dream. Photo José Andrés Solórzano. 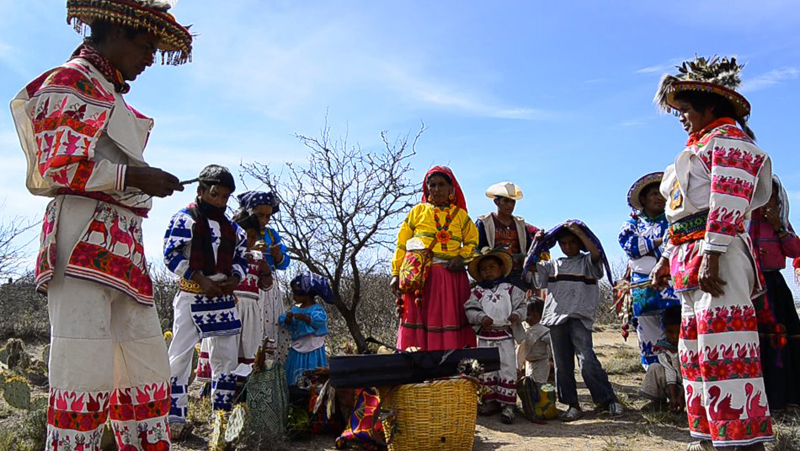 Looking out over the expanse of desert around them, a Huichol Indian family prepares for a ceremony on their pilgrimage to WIRIKUTA, their sacred land in MEXICO where the peyote grows. 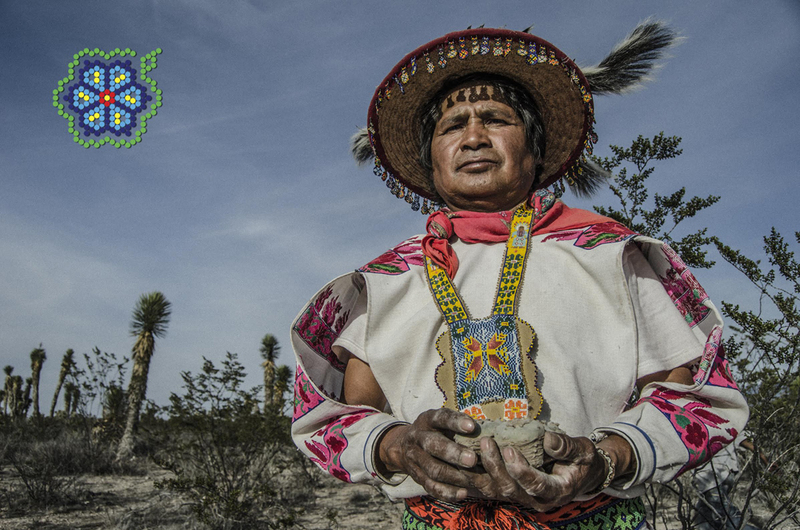 The mystical Huichol Indians, also known as the Wixarika people, are one of Mexico’s most celebrated indigenous peoples, recognised worldwide for their colourful visionary art, style and peyote-based religion. 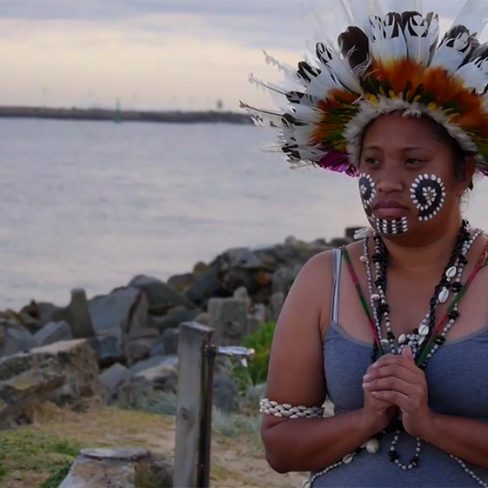 But today, their ancestral land of Wirikuta, which according to their mythology is the place the sun first rose, finds itself under threat from multinational extractive corporations. 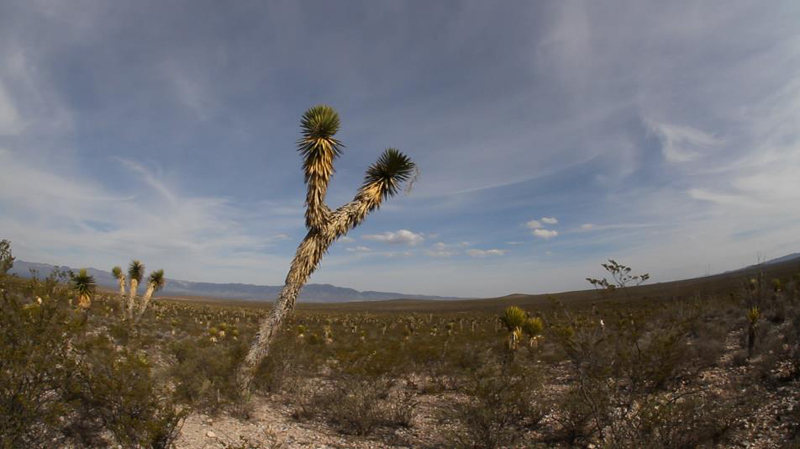 This is where Argentine filmmaker HERNAN VILCHEZ’s inspiring new documentary film “Huicholes: The Last Peyote Guardians” begins. 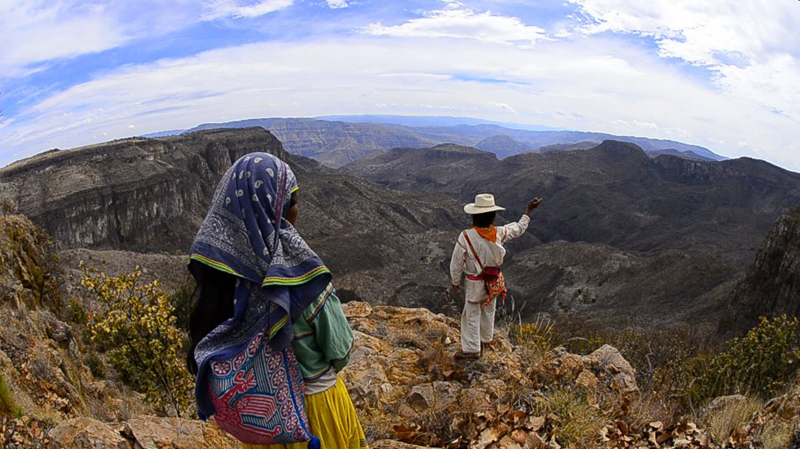 Created in close collaboration with the Huichol, the film reveals their fight to save their ancestral land, integral to their culture, spirituality and way of life. 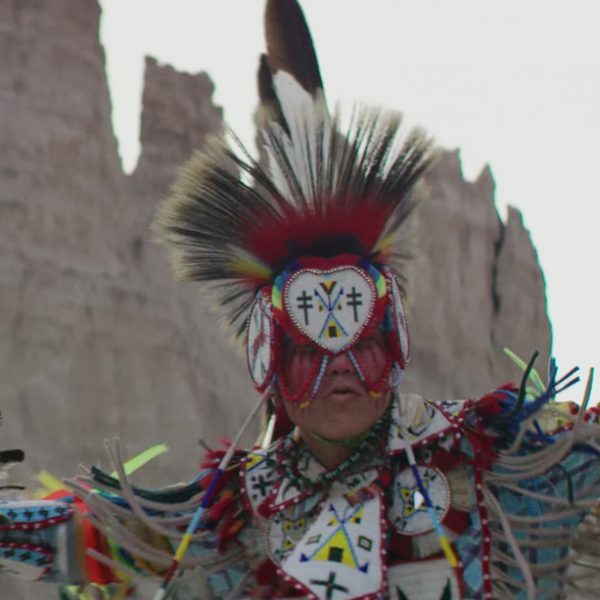 Following the film’s critically acclaimed release in Mexico last year, Hernan Vilchez and Huichol shamans Jose Luis “Katira” Ramirez and Enrique Ramírez “Haikuka” recently toured North America. 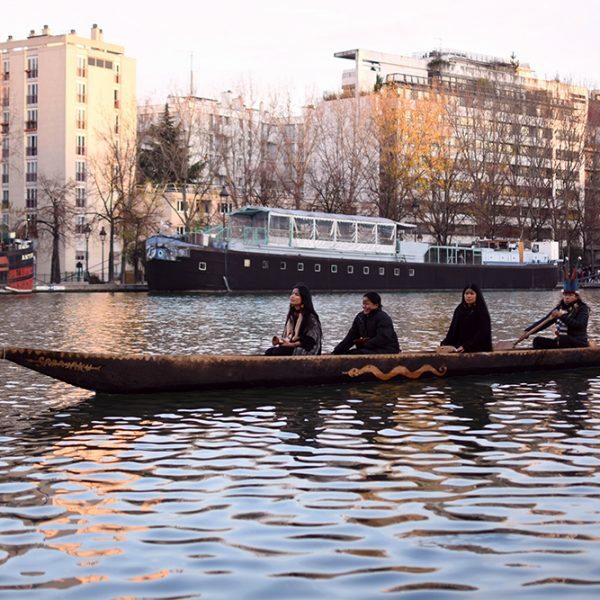 Ahead of their upcoming European film tour this Spring 2015, The Third Eye decided to talk with Hernan Vilchez about the making of the film, peyote ceremonies and the Huicholes’ powerful message to the world. 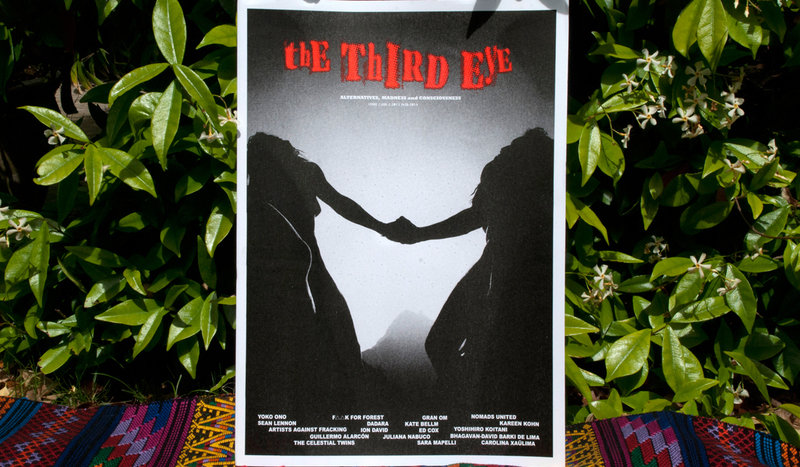 THE THIRD EYE: What inspired you to make a film about the Huicholes? HERNAN VILCHEZ: We wanted to visit them because of the book trilogy by Fernando Benítez called ‘Los Indios de México’. It’s why we were interested in visiting the Sierra to meet them. 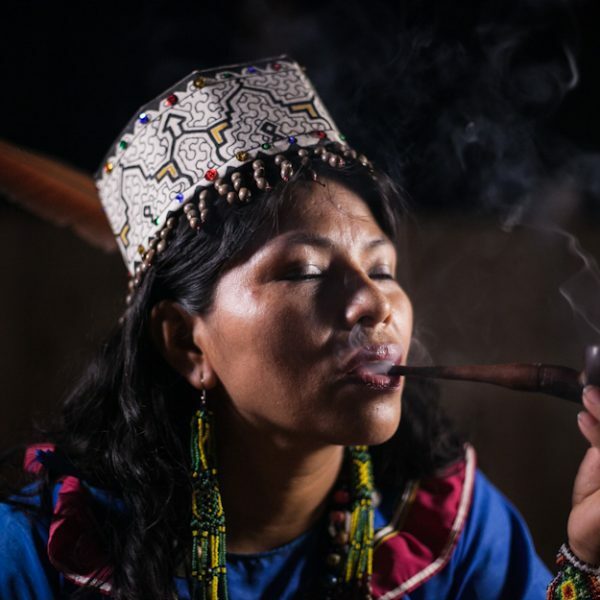 We met Jose Luiz, the main protagonist, a marak’ame – a shaman – he wanted us to talk about the problems they had in that moment. They had a big drought in the area. They related this to the news that almost all of the area of Wirikuta had been granted for mining concessions to multinational corporations. 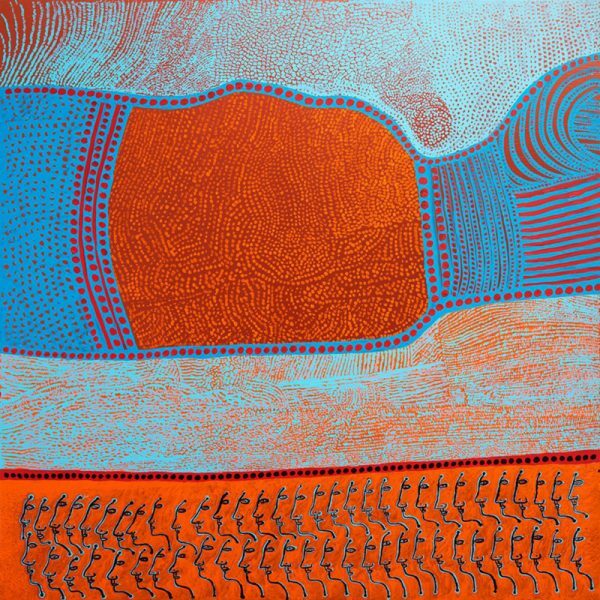 Their rituals and practices are connected with the weather of the area, as well as the whole area around Wirikuta where they live. Hunting the peyote at Wirikuta, San Luis Potosí, Mexico. 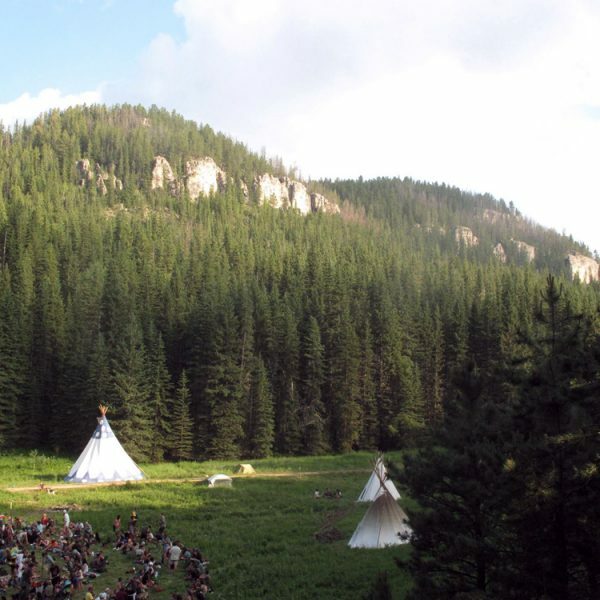 Wirikuta is one of the five sacred lands of the Wixárika People. Photo José Andrés Solórzano. 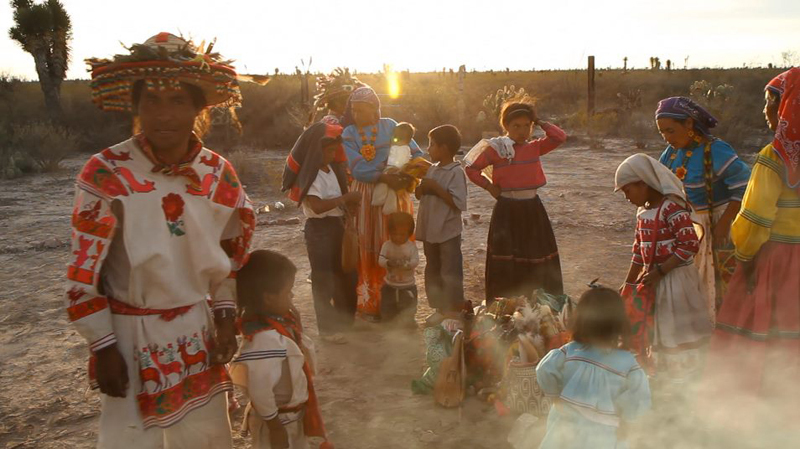 Before starting on the filming of your documentary “Huicholes: The Last Peyote Guardians”, you were making a German TV show when you first met the Huicholes. What was their initial response to this? 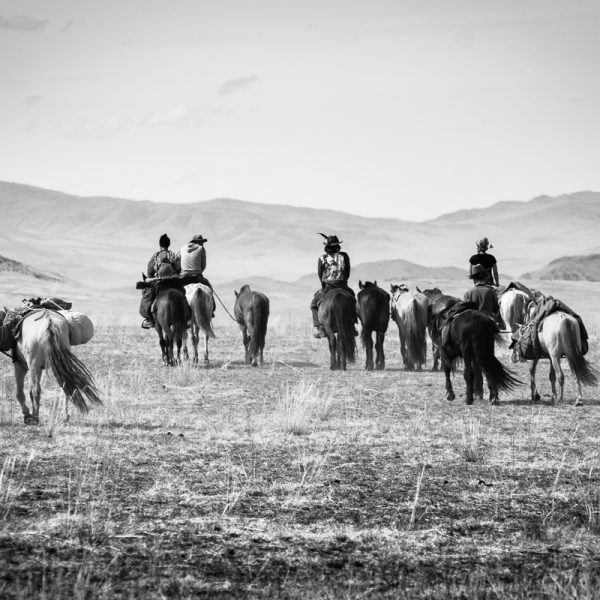 The governor of the main town in the Sierra said he had to ask his council of elders. There are just Huicholes there. They just spoke their language, Wixárika. They wanted us to make a documentary about what was going on in Wirikuta and their fight to save this sacred place where the peyote grows. So that’s how we started. 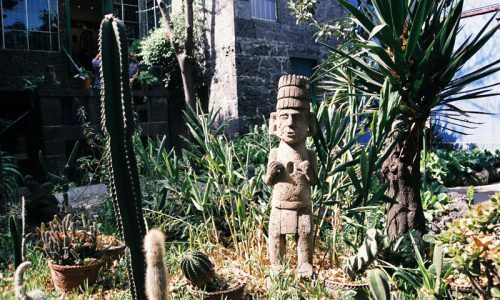 It was really shocking the nation in that moment because the Huicholes are very emblematic in Mexico – they are almost the last pure pre-Hispanic culture alive. 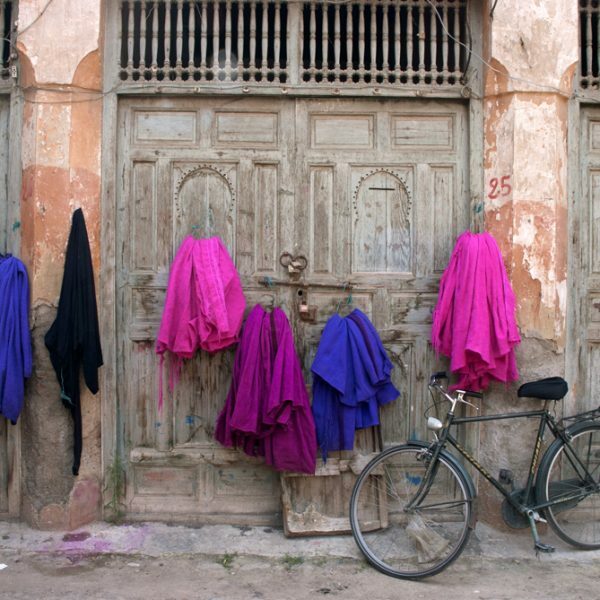 People recognise their clothing, their connection with peyote, their pilgrimage and their art is very characteristic. 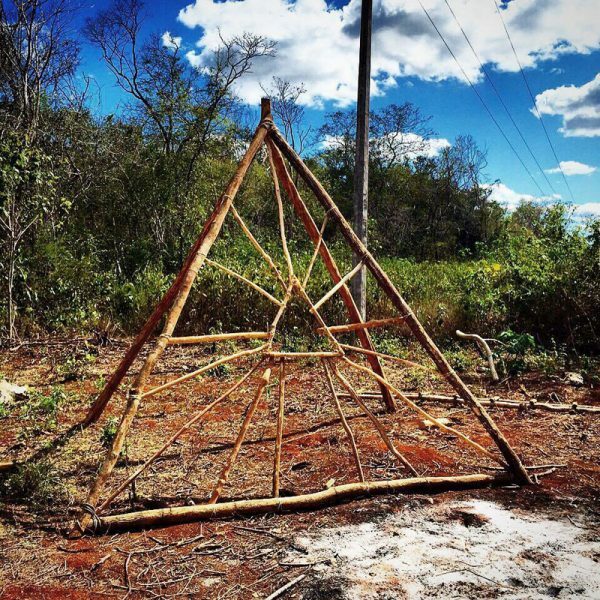 When did the Huicholes begin to become recognised by the mainstream in Mexico? Before, they were almost unknown by the mainstream in Mexico. 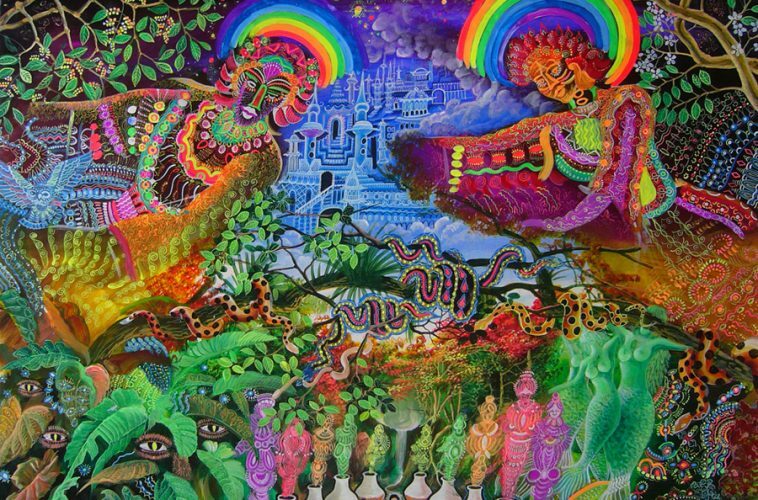 But after Carlos Castaneda’s books, Europeans and Americans started to visit Mexico, searching for the sorcerers and the shamans, the peyote and the sacred plants. They are the Guardians of the Peyote, they hunt the peyote in the desert. People started to look for them and they started to open their practices. 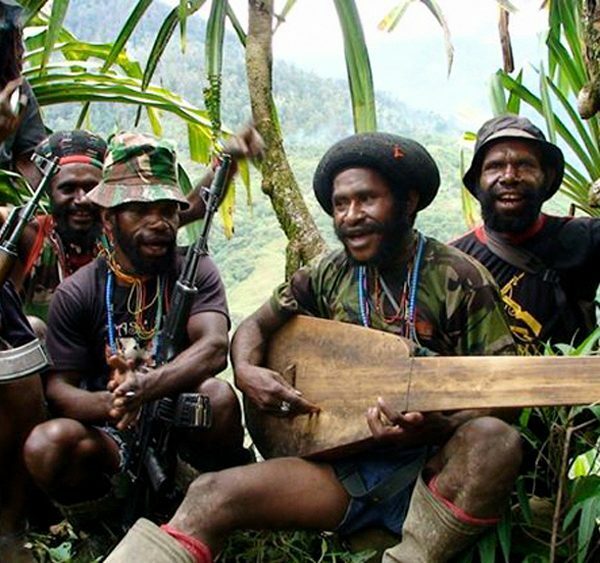 At the same time, this helped them to fight for their rights and get some activists, lawyers and experts to work with them to fight for their human rights, community rights and land rights. 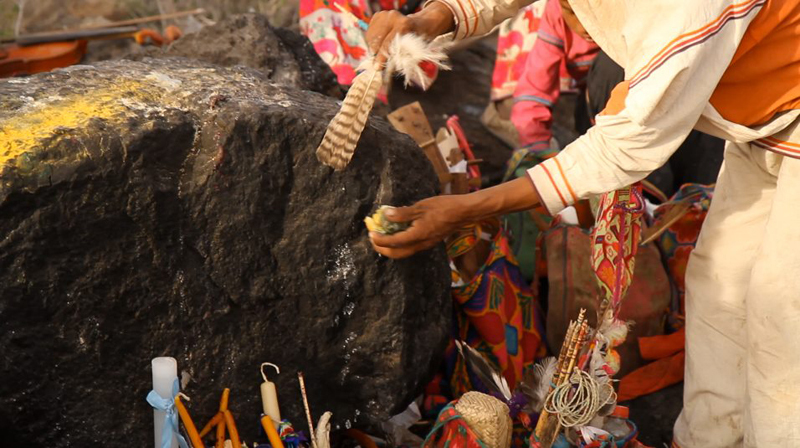 The first offerings are made at the sacred site of Tatei Matynieri, (Wirikuta route, San Luis Potosí) where the Mother Goddess of the Rain inhabits. Photo José Andrés Solórzano. 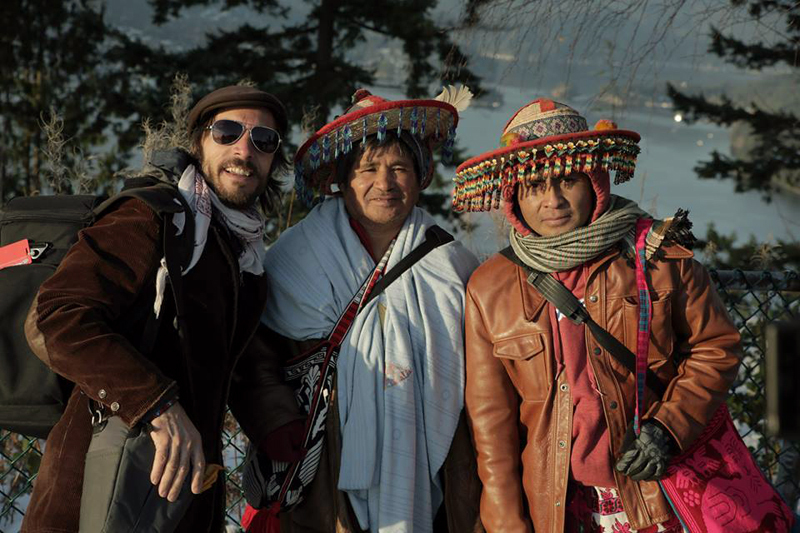 Tell us about your collaboration with the Huicholes during the making of the film. We were working together as a team with the families for three years, living in their place. 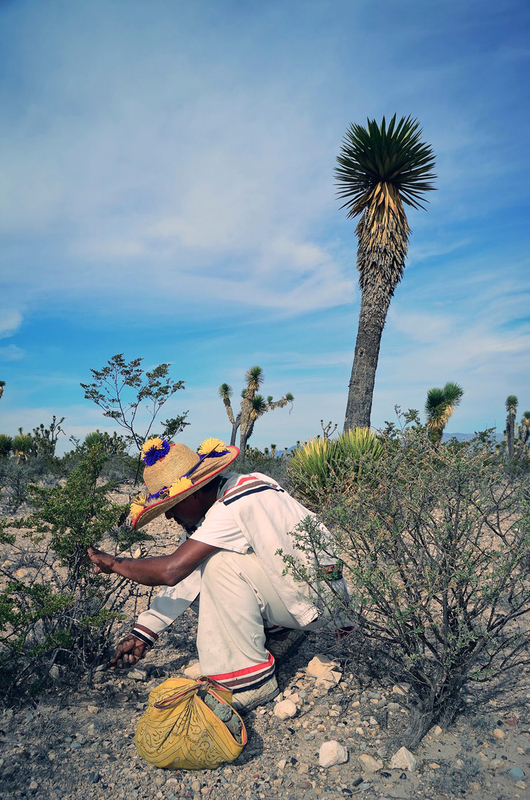 We followed a traditional Wixárika or Huichol family of the Sierra making the pilgrimage to Wirikuta, the sacred lands in San Luis Potosi, where the peyote grows and where the mining companies want to establish themselves. 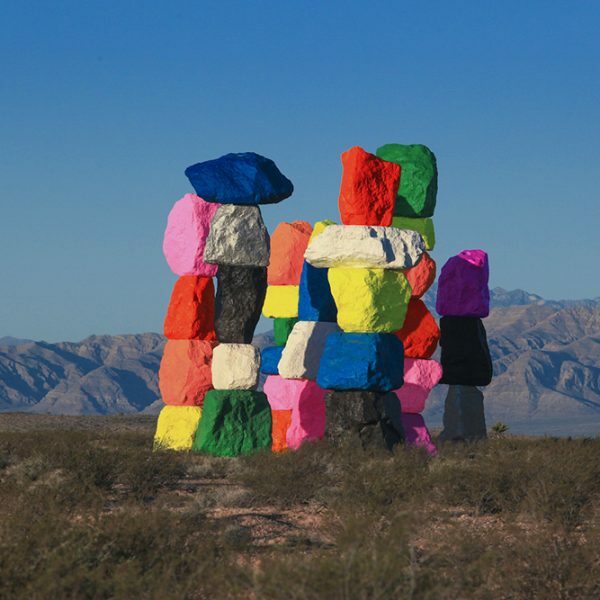 The grandmother, the grandfather, the parents and the kids, are all making this big effort, hunting the peyote in the desert, going to the sacred places, making their offerings and sacrifices and then climbing the mountain to make the last ritual, while eating the peyote. They connect with their deities, make pacts with them and receive knowledge from this place and their communication with their gods. Did you participate in rituals or ceremonies? Yes, I participated in this pilgrimage, as well as rituals in the Sierra before departing for the pilgrimage. The Huicholes have a very full ceremonial calendar. 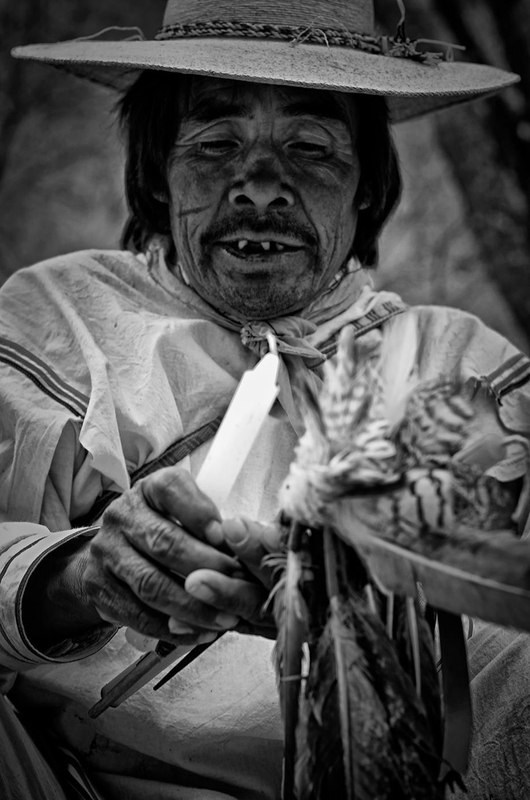 Throughout the year, they are following their crops and they also have to make community rituals with peyote. They are like monks, somehow. The whole time they are praying and getting connected with the gods. 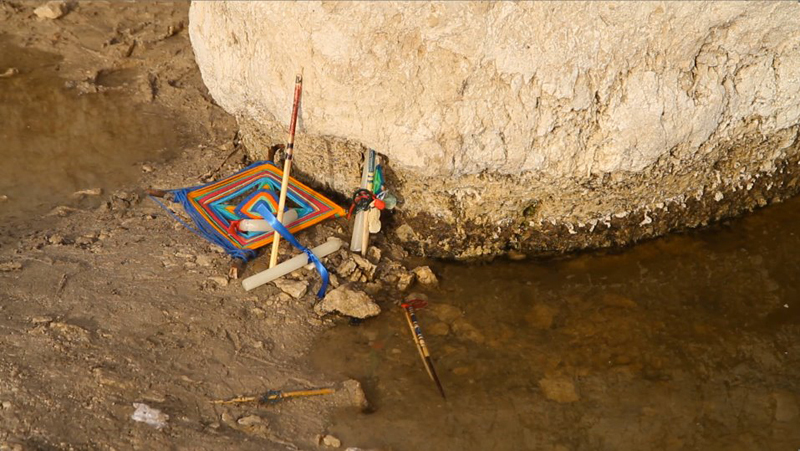 Ritual offerings at one of the Huichol’s sacred places along the pilgrimage to Wirikuta, at the springs of San Juan del Tuzal. 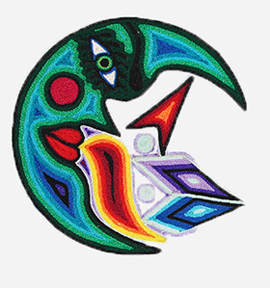 The feathers are the ones that carries and spreads the energy of the offerings (the “ojos de Dios” or “nierikas”, “jícaras” (gourds), candles, food, blood, corn, etc). Photo Hernán Vilchez. 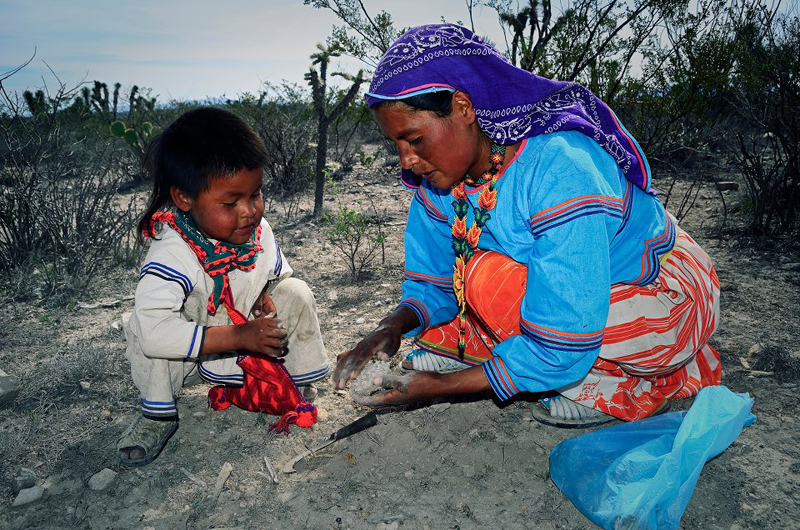 What do you find particularly interesting about Huichol culture? They are very spiritual people. 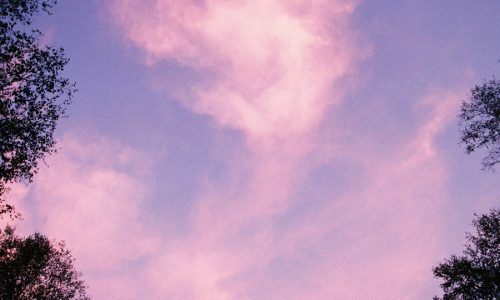 They are really linked in with this spiritual dimension, which to them is constantly interrelated with our reality. That’s why it’s important for them to follow their ancestors’ steps because they receive the guidance. This is completely connected with their message about taking care of nature. 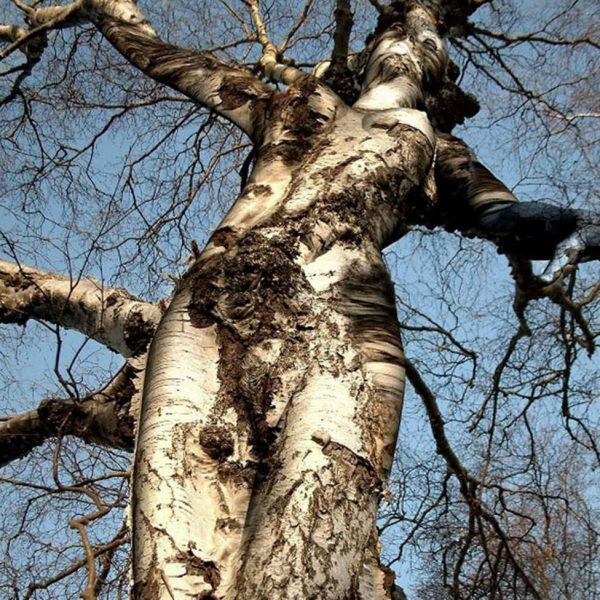 Nature is like our Mother. 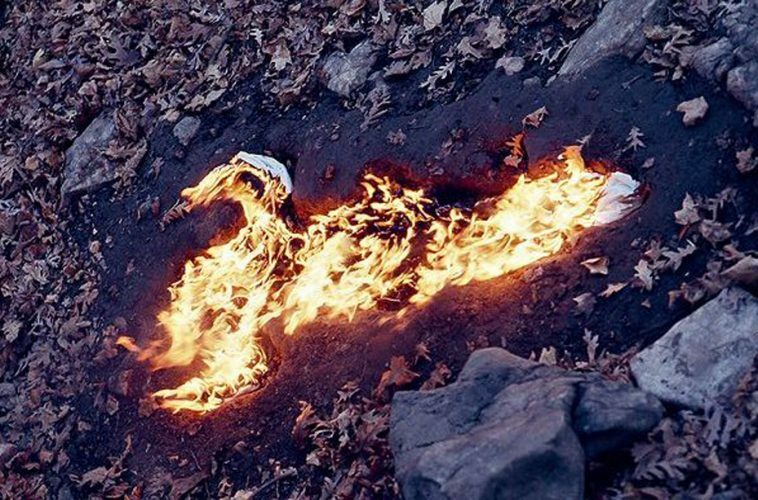 Fire is our guidance. There are different entities in nature that interact with humanity and humanity must take care of their relationships and must not destroy the source of life. That’s why they are so strong and not stopping in their fight to keep their lands and protect their sacred areas. The desert of Wirikuta, Bernalejo Hill. 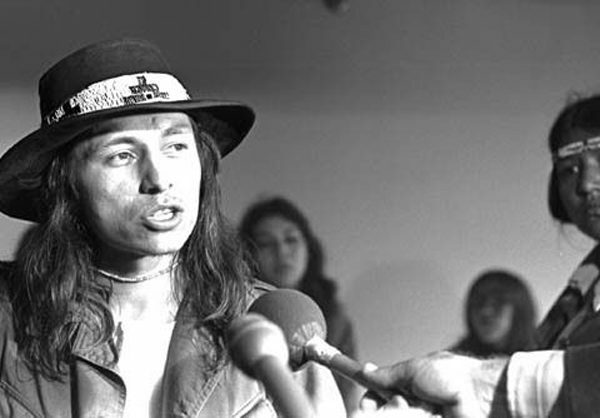 Photo Hernán Vilchez. 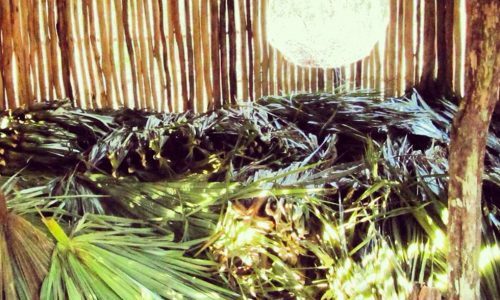 What is the message of “Huicholes: The Last Peyote Guardians”? It’s a message about our world and how a group of 40,000 people who speak a strange language and believe in gods we don’t think are there, make us pay attention to a really difficult situation with these mining companies. People need to work, but at the same time, experts and academics have said that maybe these mining companies are not thinking of the damages they will leave behind in this area: no more water, contaminated soil. 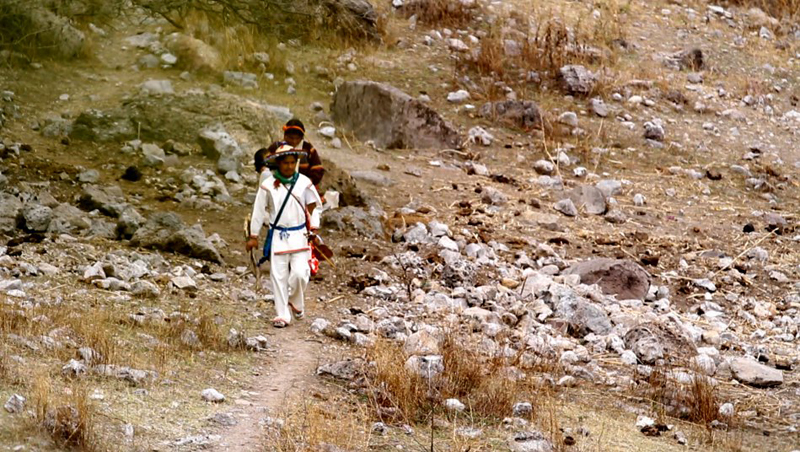 Clemente Ramírez “Uweni Temai” and his young daughter, hunting peyote in Wirikuta. Photo Hernán Vilchez. 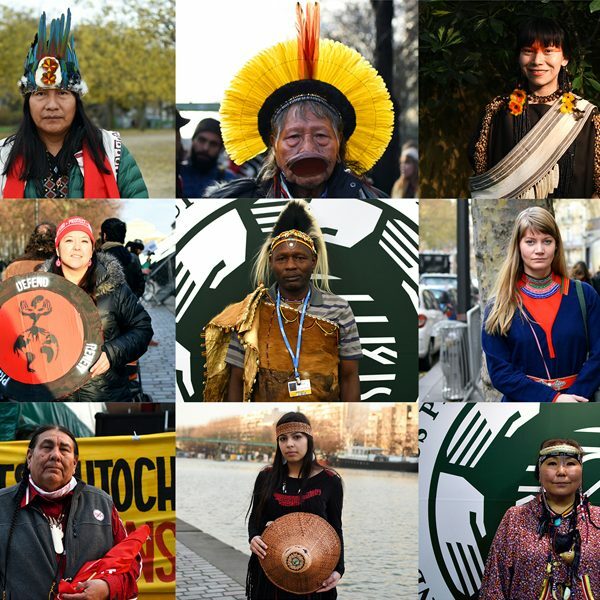 Their fight has global resonance, it echoes the same issues that many other indigenous and tribal peoples face worldwide. 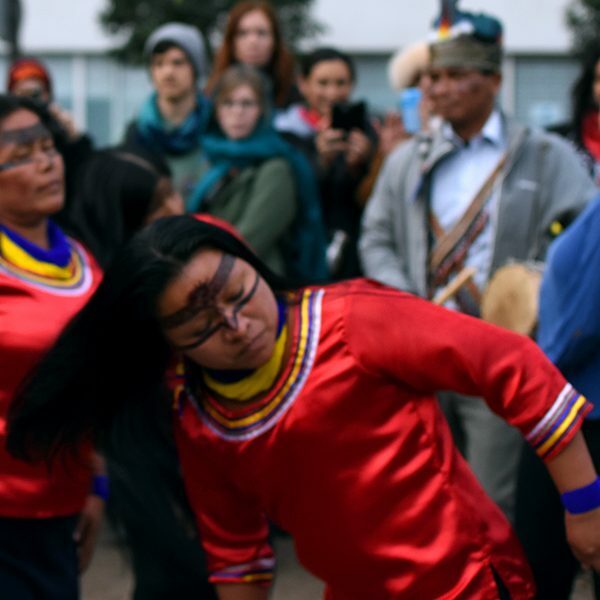 This gives us some kind of inspiration for other communities around the world to also fight for their rights, for their land. 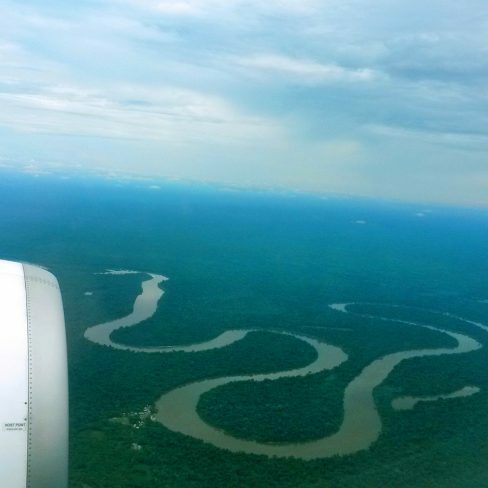 We are getting to a point where the global situation around the environment and natural resources is so delicate and so close to being irreversible in certain regions – and most of these regions are inhabited by indigenous peoples. 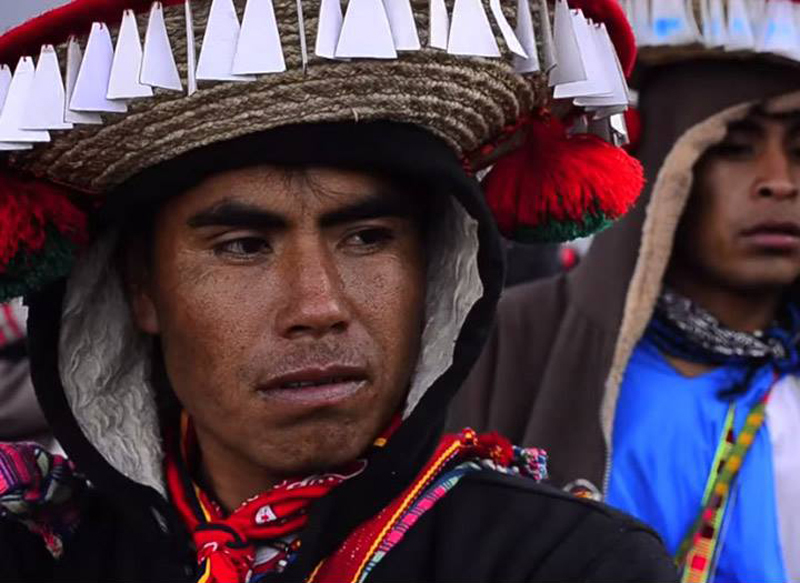 Eliasar, the future, wearing the xupureru (traditional Huichol hat). Photo José Andrés Solórzano. 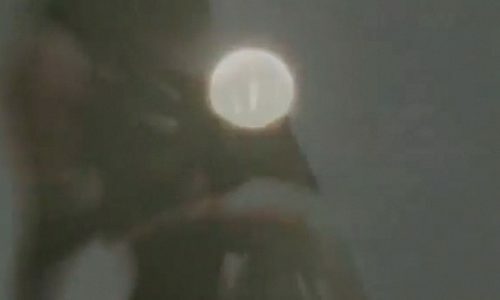 What are the Huicholes’ feelings about how the situation is evolving since the film release? We made a screening in the Zocalo in the center of the ancient pyramids of Achicalan in Mexico City with the support of the Cultural bureau from the city and a big indigenous party. 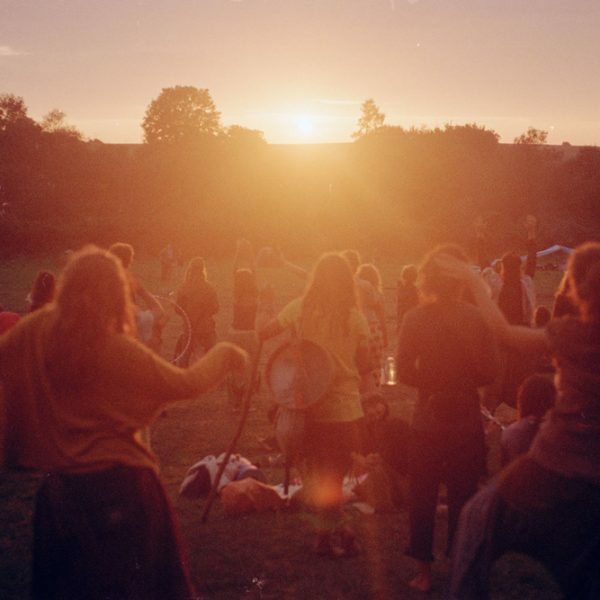 We showcased the movie for three thousand people at the main stage and got together the main traditional authorities of the Wixárika culture. It was the first time they got all together after many years. 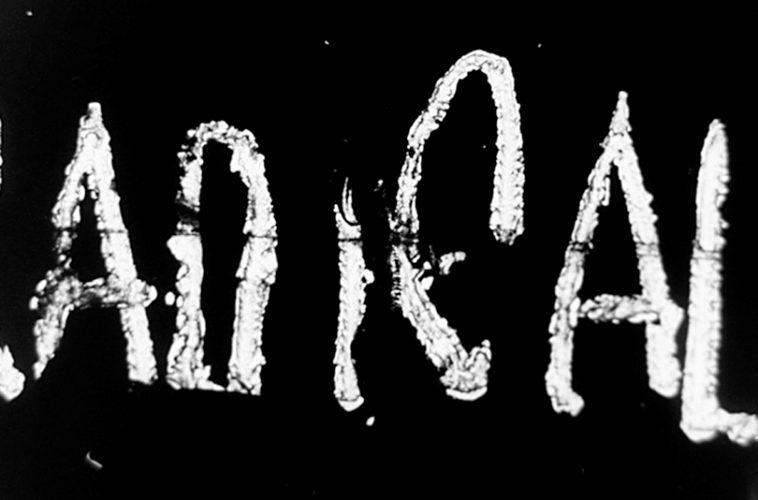 They realised this film is voicing and explaining the situation in many different countries for many different audiences. This gives the support that they need inside Mexico and outside because this is also an issue for UNESCO and the United Nations – Canada is involved. 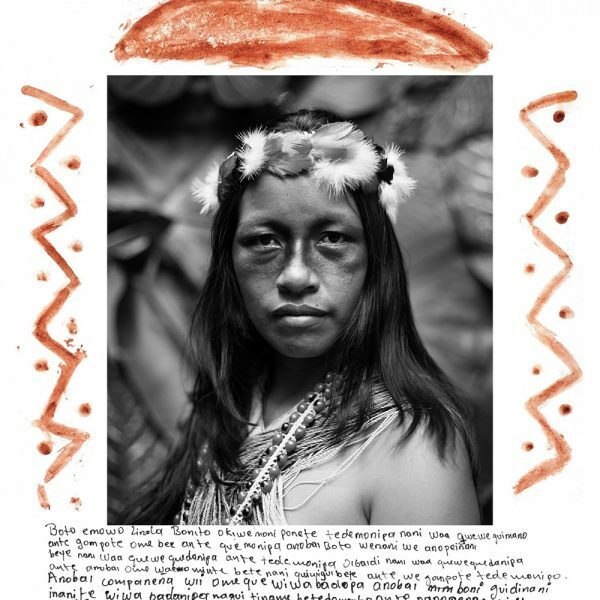 For the first time in their history as a people, they made a letter [on the Film’s website] asking the President to receive them to talk about Wirikuta, their sacred lands and territories that are being endangered by these kinds of projects and this kind of mismanagement by the government. How do you feel about the future of the situation? I’m very hopeful. They are fighting altogether now. 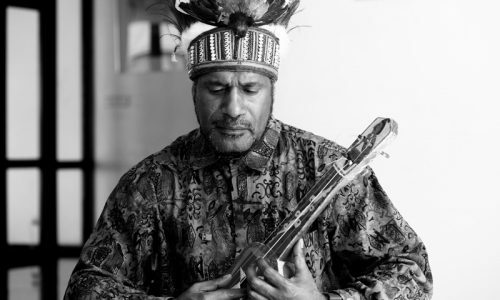 This gives a lot of power and strength to their defence of their sacred places, especially Wirikuta, and their rights as a nation. They’re very strong and they know what they want. They are getting quite famous and well known around the world. 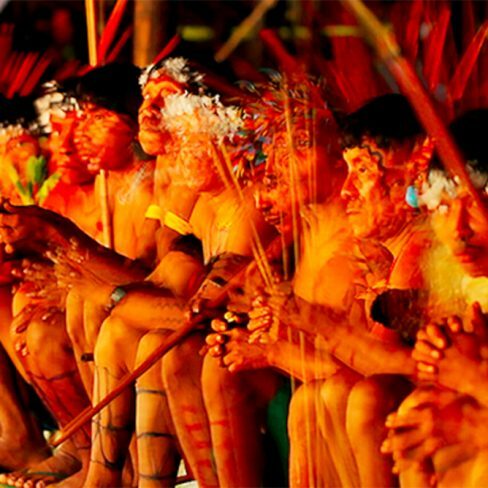 We like to work with indigenous peoples. 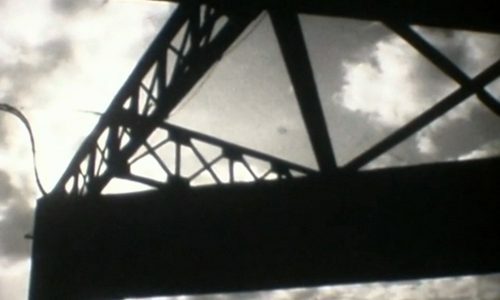 They give us messages and explain ways of thinking that make our humanity richer. 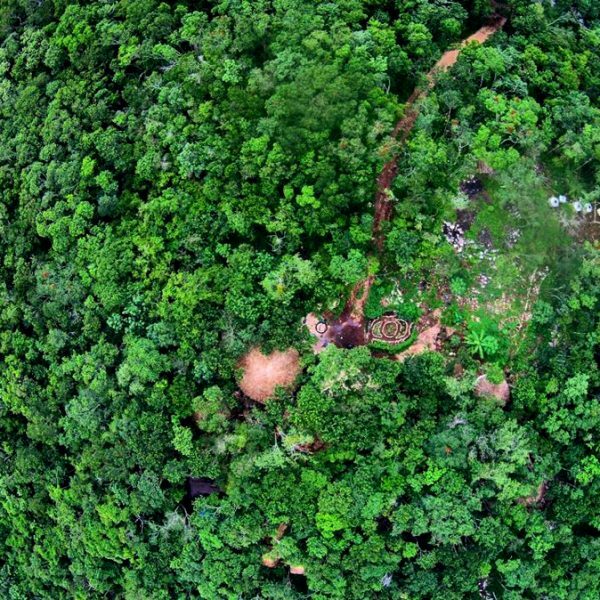 We are trying to maybe start with an international TV series about endangered cultures that can still give us a strong message, such as the Huicholes. Our spectrum is working with documentaries, reality, in all the different formats we can find for TV, for cinema and docu-fiction. 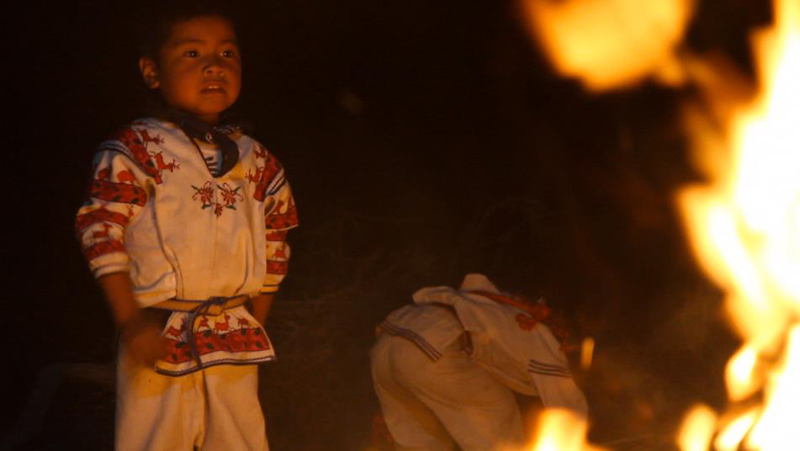 “Huicholes: The Last Peyote Guardians” by Hernan Vilchez tours Europe this Spring 2015, visit www.huicholesfilm.com to find out more! Directed by Hernan Vilchez. Production: Paola Stefani. Photography: José Andrés Solórzano. 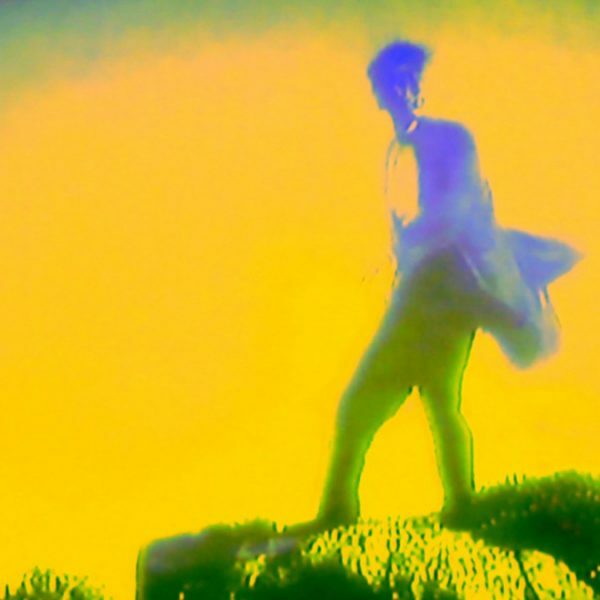 Soundtrack: Gastón Salazar. Animation: Eugenio Costa. Graphic design: Geni & Yuyo. Huichol men in the massive gathering of February 2012 at the Cerro del Quemado, Wirikuta. Photo José Andrés Solórzano. 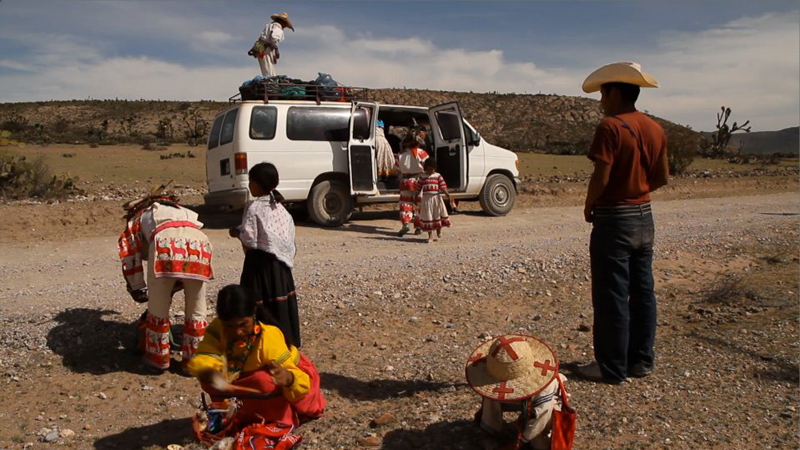 On the road of the pilgrimage from their home in the Sierra Madre Occidental to Wirikuta, in the Mexican state of San Luis Potosí. 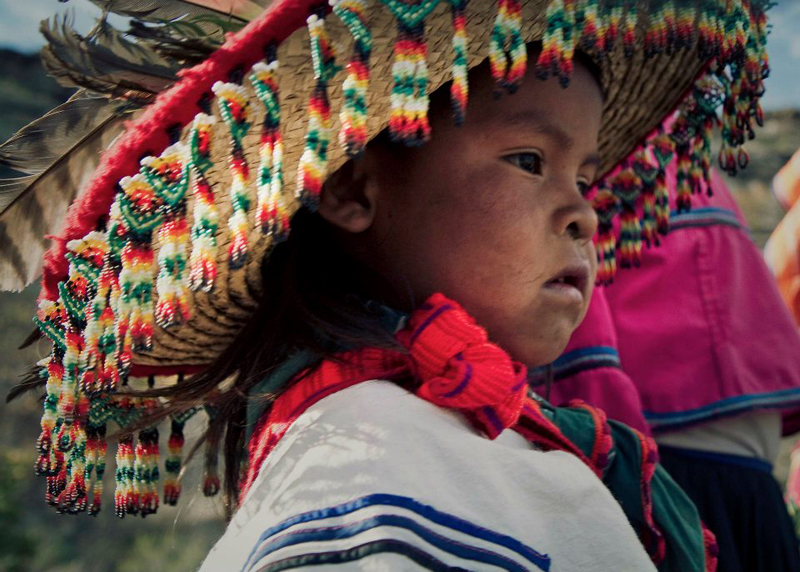 The Huichol Indians reside in the central western Mexican states of Nayarit, Jalisco, Zacactecas, and Durango. Photo Hernán Vilchez. Mara’akame Don Roberto Ramírez, brother of Don José, blessing the offerings after the calf´s sacrifice at Los Encinos kaliwey (ceremonial site), Sierra huichola, Jalisco. Photo José Andrés Solórzano. 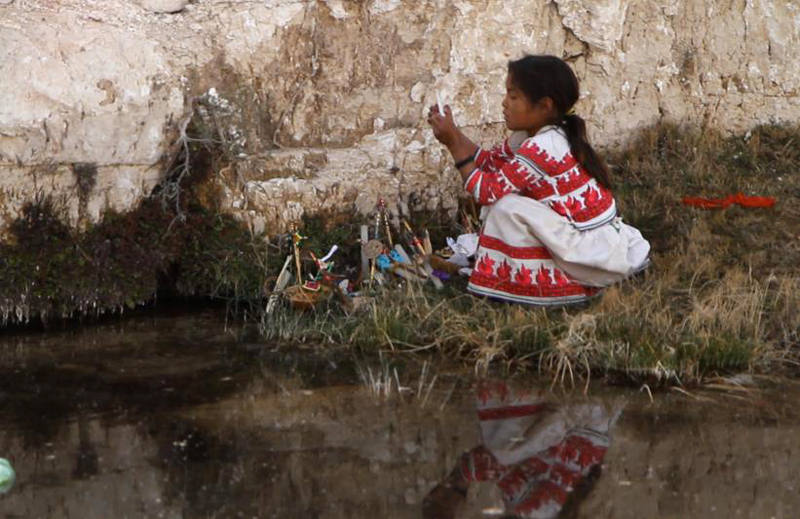 Huichol girl making offerings around the springs of the sacred site of Haapa (San Juan del Tuzal, San Luis Potosí). 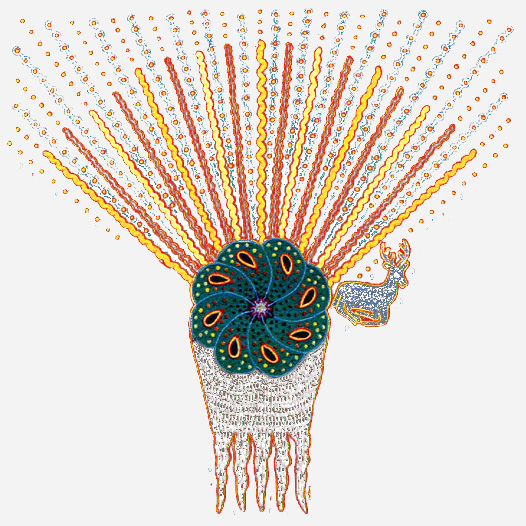 The Huichol collect water, delivering the offerings so the “Mara’akame” can guide them through the holy waters. Photo Hernán Vilchez. 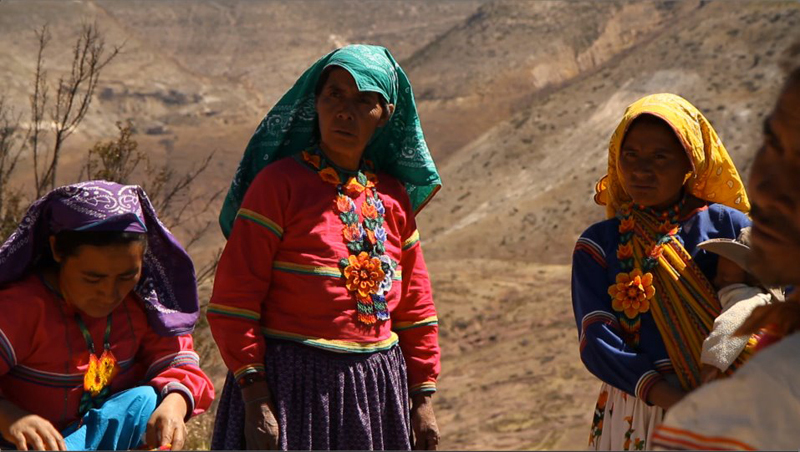 María Teresa “Turama” Ramírez, (wife of Don José) and her daughters Carmela and Graciela from La Laguna Wixárika community, on the Cerro del Quemado, San Luis Potosí. Photo Hernán Vilchez. 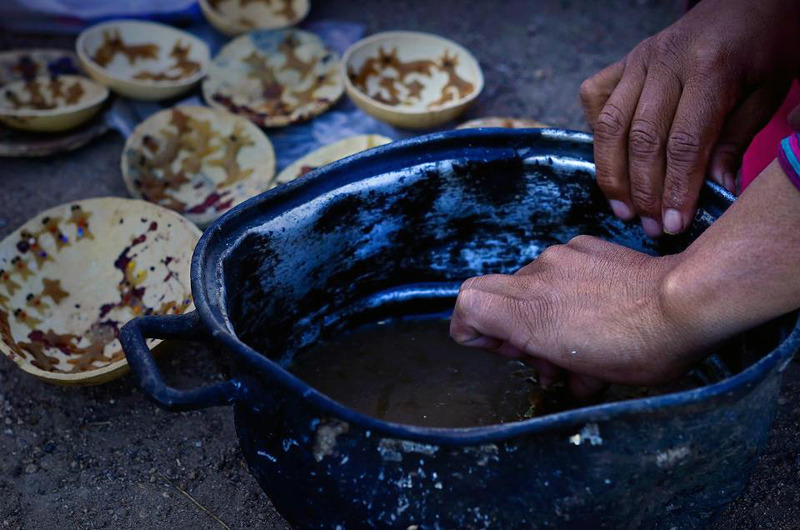 Preparing the jícaras in La Laguna (Sierra Huichola, Jalisco). The ornamented gourds are used as offerings to the gods at the five sacred sites of the Huichol. Photo José Andrés Solórzano. The wife of Roberto Ramírez preparing the corn flour for the blue tortillas. 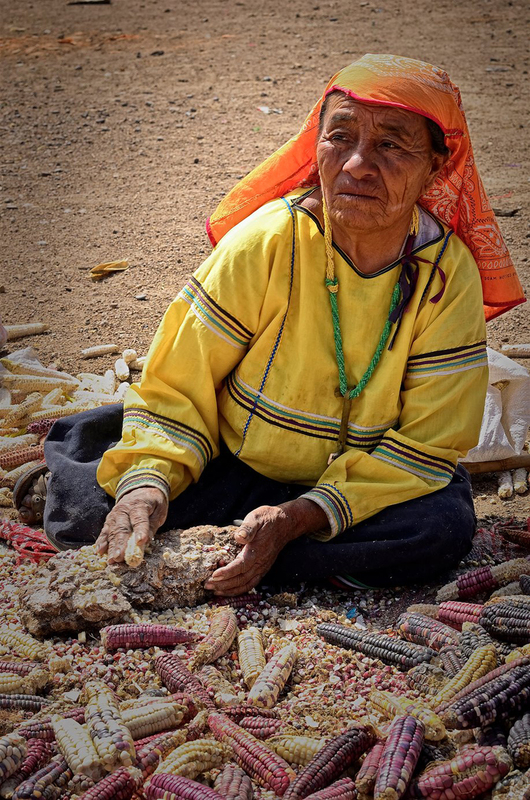 From the soil, the Huichol get the staple food of their diet, maize (corn). There are five colours of corn – the number five is a particularly symbolic number for the Huichol people as they have five sacred sites. Photo José Andrés Solórzano. 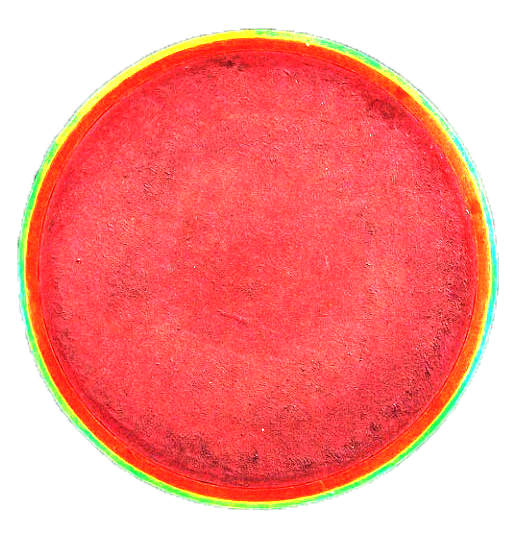 A miniature ‘Ojo de Dios’ (Eye of God) made as an offering to the gods at Haapa´s sacred springs (San Juan del Tuzal, San Luis Potosí). Photo Hernán Vilchez. 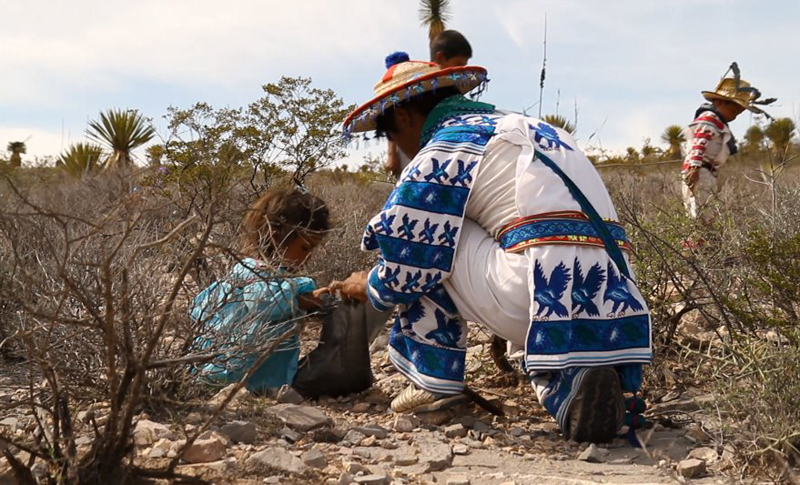 Daughter and grandson of Don José (Uxamuire) with peyote just collected in the desert. 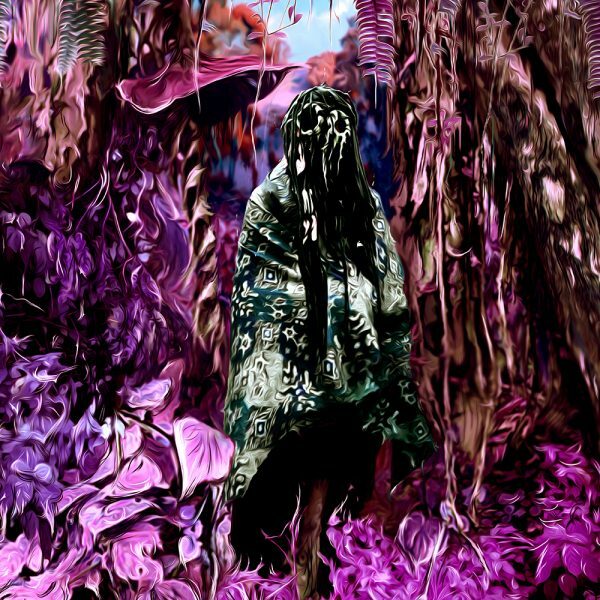 Peyote is usually first consumed around the ages of 5-8, first during a special ceremony for children in which the Mara’akame guides them on their first pilgrimage to Wirikuta through a dream. Photo Hernán Vilchez. Carmela teaching Eliasar, her nephew, to cut the peyote at Wirikuta, San Luis Potosí. Photo José Andrés Solórzano. Sunset at Kauyu Marie, the last stop on the pilgrimage before arriving to the Cerro del Quemado. Photo Hernán Vilchez. 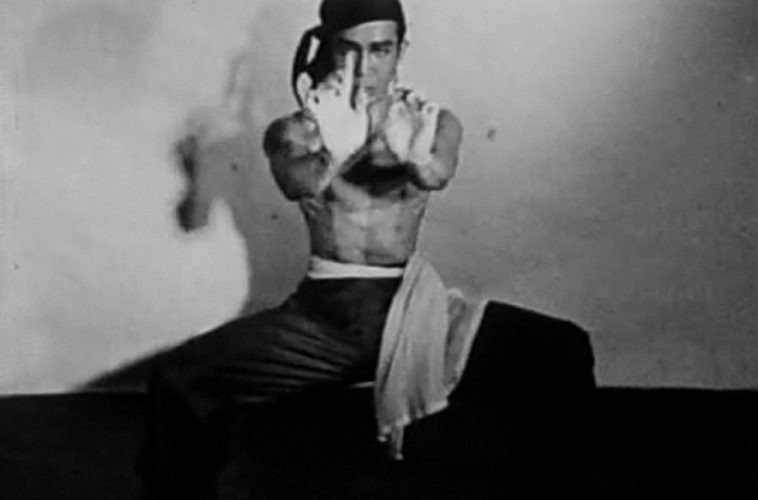 Fran, Don José´s grandson, in contact with Tatewari (Grandfather Fire) at Wirikuta. Photo José Andrés Solórzano. 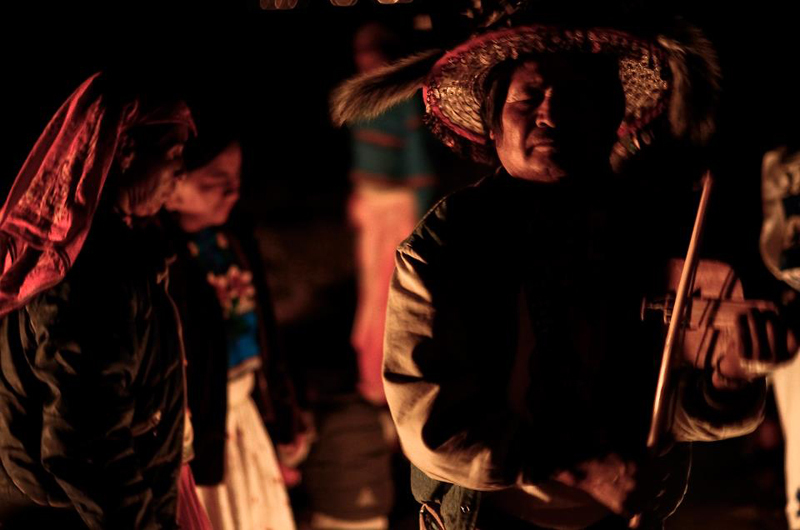 Ceremonial peyote song and dance at night around the fire at Wirikuta, San Luis Potosí. Photo José Andrés Solórzano.